Sebastian Vettel, team driver for Scuderia Ferrari did not hesitate to accept when given the opportunity to drive on both days of the F1 test in Bahrain. Vettel is looking to maintain his fine form over Mercedes and he believes the way to do that is to keep driving. The German is of the notion that in each and every lap he makes in the Ferrari SF70H, there is always something to be learnt. The team is looking to position itself as the major contender for the F1 world championship this year. They would be looking to add to their two wins out of three so far and Vettel will hope to be the man who achieves that. Where Ferrari doesn’t clinch the crown in this year, it could as well make it a full decade since the team’s last title win. 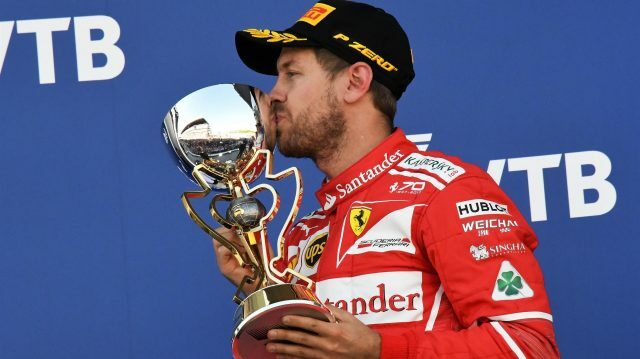 However, Vettel has been able to get the Scuderia off to a marvelous start as from three races, he has won two. Each wins were against Mercedes and from losing positions as well. His typical meticulous style of development prompted him to stay on in Bahrain with the team for two days of the F1 testing. On day one, he spent the day testing tyres for Pirelli. On the second day, he was in his race-winning SF70H as he looked to uncover more pace from the machine. However, the races didn’t go very smoothly as duringhis time in the car, there were some technical issues which hampered his performance, He however believes that there’s still plenty to be learnt from the package.